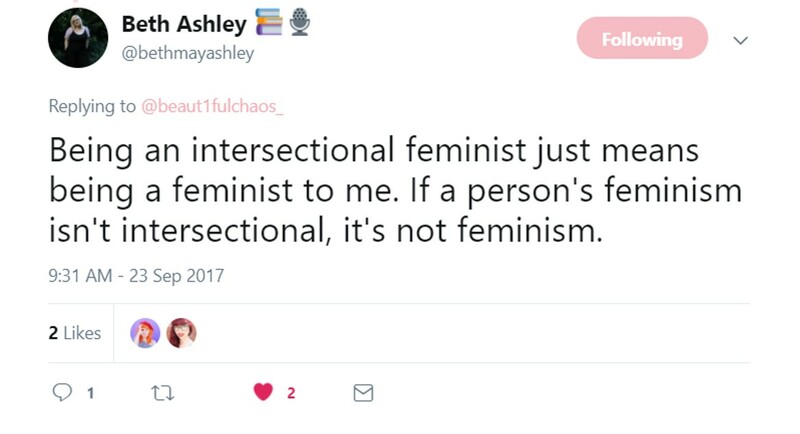 If It’s Not Intersectional Feminism Is It Really Feminism? No by the way. The answer to the question of this blog post is a no. I’m a feminist. For a long time, I thought that just meant ‘smashing the patriarchy’ campaigning for equal rights for men and women. In my understanding, there was radical feminists; those who wanted men to be banished from society. Liberal feminists; those who had a more gentle approach to feminism, often found recognising the march of progress and Marxist feminists; those who believed society works for the benefit of capitalism. It wasn't till I started doing a bit of research and digging around the subject, more than just reading my sociology A-level textbook, I realised there was a whole other branch of feminism that we had never even studied or acknowledged. 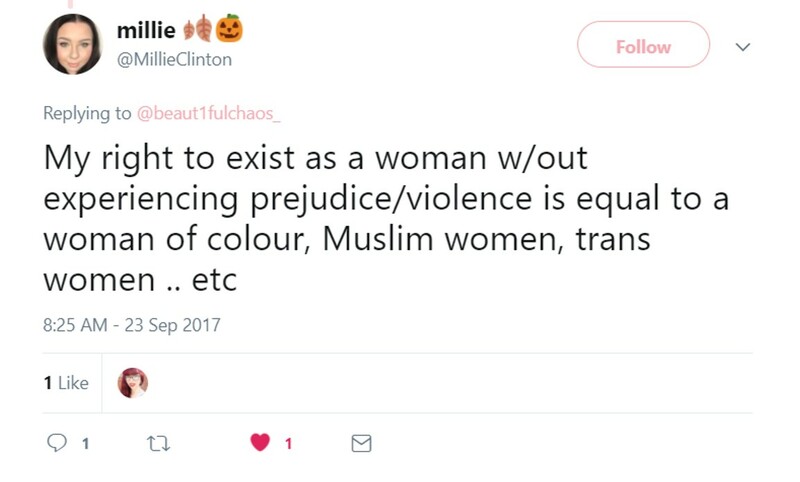 Intersectional feminism. For those of who have no idea what I'm going on about at the moment, let me start with a few basic definitions. Intersectionally is a feminist theory which was developed by Kimberle Crenshaw in 1989. It argues that there are multiple facets to a person. For example; class, sexual orientation, race, disability, etc. 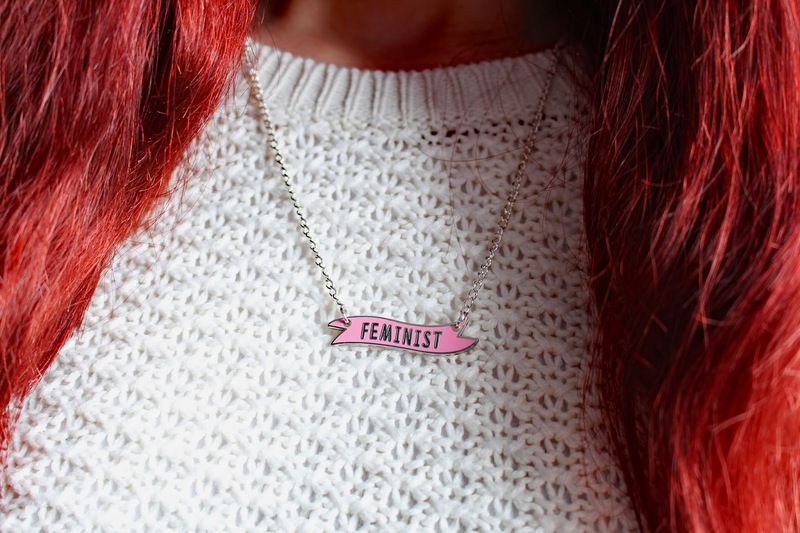 Stereotypical white feminism ignores these facets of a person's identity which can contribute to social injustice and inequality, alongside and more so than just being a man or a woman. When you think of feminism, you think of the patriarchy; the denoting system which is run by men for the benefit of men. However, the Patriarchy is actually a problematic term. If we 'took down the patriarchy' it would suggest that social inequality between men and women would be solved. But this just isn't the case because it is ignoring the different intersects of a person's identity. Let me explain; according to the patriarchy if you had a white, able-bodied, cisgender, heterosexual women and a black, disabled, homosexual man, according to the patriarchy the man would have more power. This isn't the case. The man has less privilege, and the facets of his identity make him more open to discrimination and social inequality. Thus in this situation, the woman has more power. This is why we need to acknowledge the Kyriarchy; extending beyond the realms of patriarchy, explaining and encompassing other structures of oppression and privilege, e.g. racism, ableism, homophobia and capitalism. I'm an intersectional feminist, but I'm also a; white, cisgender, able-bodied, middle class, heterosexual women. I experience inequality in society because of my mental illness and because I'm a woman. However, I recognise that the problems I face are not the same as someone who has different facets as part of their identity. I note that I have had a very privileged upbringing. Upon self-reflection there areas of life which I'm privileged in and others which I'm not. 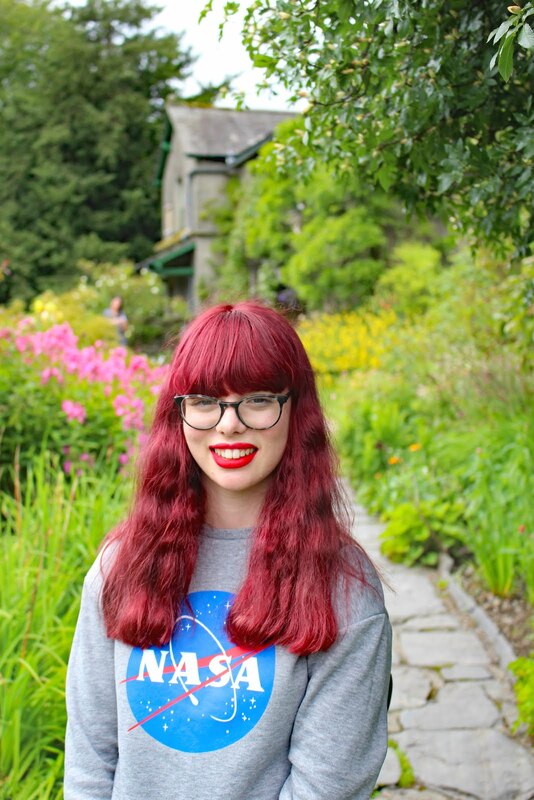 So, what does being an intersectional feminist mean to me? It means that I recognise my own privileges, I campaign for better awareness and understanding in areas which I am not as privileged in, e.g. mental health. I also am an ally for others who experience social inequality because of an aspect of their identity, from their skin tone to their sexual orientation. Just because I'm not black, or Gay or disabled, it doesn't mean that I can't campaign for their rights and call people out when they I hear people say things which are either offensive or inaccurate. I have friends who fit into these categories, and it's important to me that they have as many rights as possible. I want to help lift the voices of people from minorities by using my platforms to raise awareness. I don't want to shout over the voices that matter, I want to cheer on the women who too often ignored and forgotten about. I also don't claim to know everything. I want to be called out when I make a mistake because I want to be the best intersectional feminist that I can be. Enough from me, lets' hear from other people about what being an intersectional feminist means to them. I hope this post has taught you more about intersectional feminism. At the end of the day, if you call yourself a feminist, you should REALLY reconsider calling yourself an intersectional feminist to ensure the voices from those in minority groups are heard and acknowledged. If you enjoyed this post, let me know what other feminism posts you would like to see on my in the future. 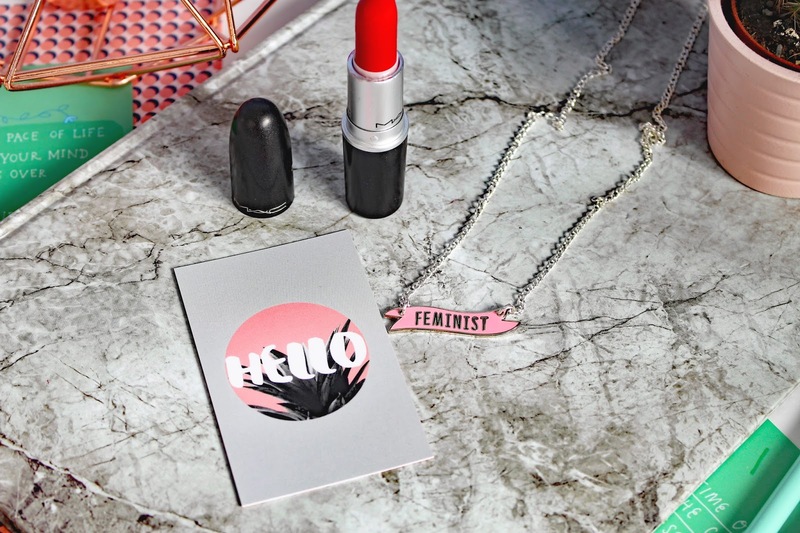 Are you an intersectional feminist? What are your thoughts on the subject? Let me know in the comments below. * Some of the items in this post were gifted to me. However, I am not being paid to write this post and all opinions are my own. Here, Here! What a beautiful post. I think it's up to all of us - no matter our gender, race, sexual orientation, religious affiliation, etc. - to campaign for the rights of all. I think when we start saying, "Oh, they're good because they've got XYZ..." then we've lost the battle for Human Rights for All. Thank you for sharing all this great information!